…check out the new ROW-Lab Logo, thanks so much to ROW-Lab volunteer Marie Odejar for her inspiring design! 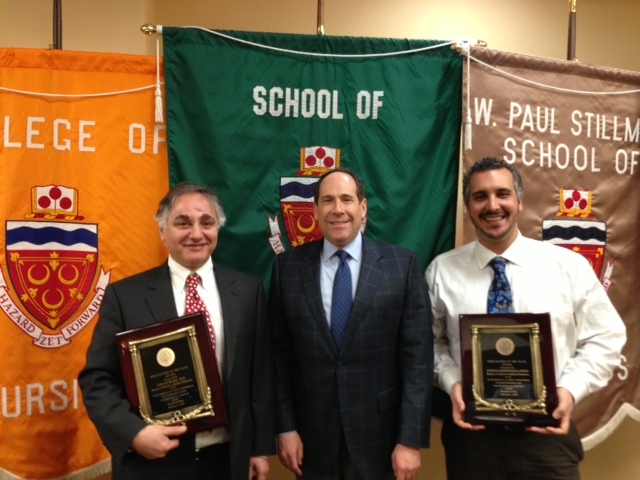 Dr. Koutsoftas, the director of the ROW-Lab received a researcher of the year award from the Office of Grants and Research Services at Seton Hall University. 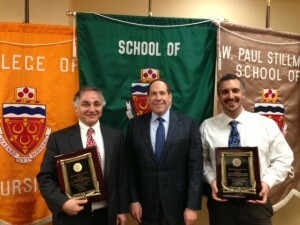 He and Dr. Jihad Slim from the School of Health and Medical Sciences were two of eight recipients from Seton Hall honored at a Luncheon hosted by the University.